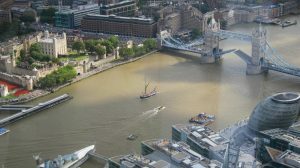 Spend a day or evening on a historic wooden sailing vessel built in 1923, the Thames Sailing Barge Lady Daphne, and have Tower Bridge raised especially for you during your trip. S. B. 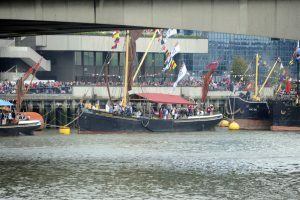 Lady Daphne is one of the most famous of London’s classic wooden vessels still sailing. 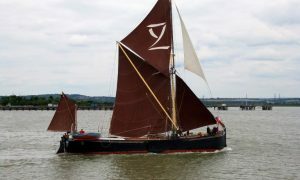 She was one of the many thousands of Thames sailing barges built for the English coastal trade. 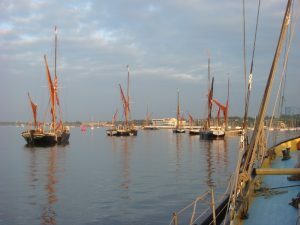 Now there are fewer than 40 barges left in Britain, and fewer than 10 wooden barges with passenger certificates. 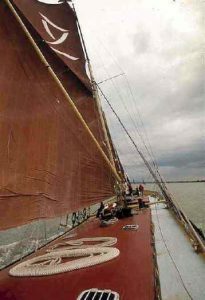 You can live history by spending a day on Lady Daphne, as it was during her working life. 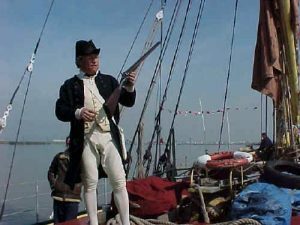 Imagine life as it was, on board one of thousands of red-sailed ships dominating London’s skyline in the days before road transport took over. 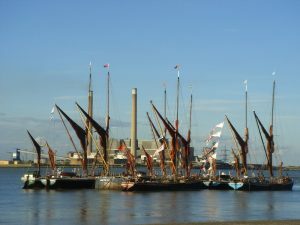 spitties keep on sailin, they were built of English oak. 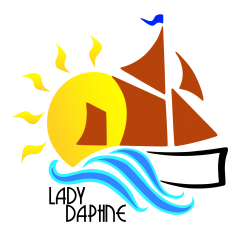 Sea Laurel Ltd, 40C West End, March, Cambs, PE15 8DL.